Have a question about the Spare Air 3.0 Cu Ft Nitrox Back Up Air Supply? Submersible Systems Aluminum SPARE AIR Nitrox redundant emergency air supply will give the peace of mind any diver needs when there is no room for error. 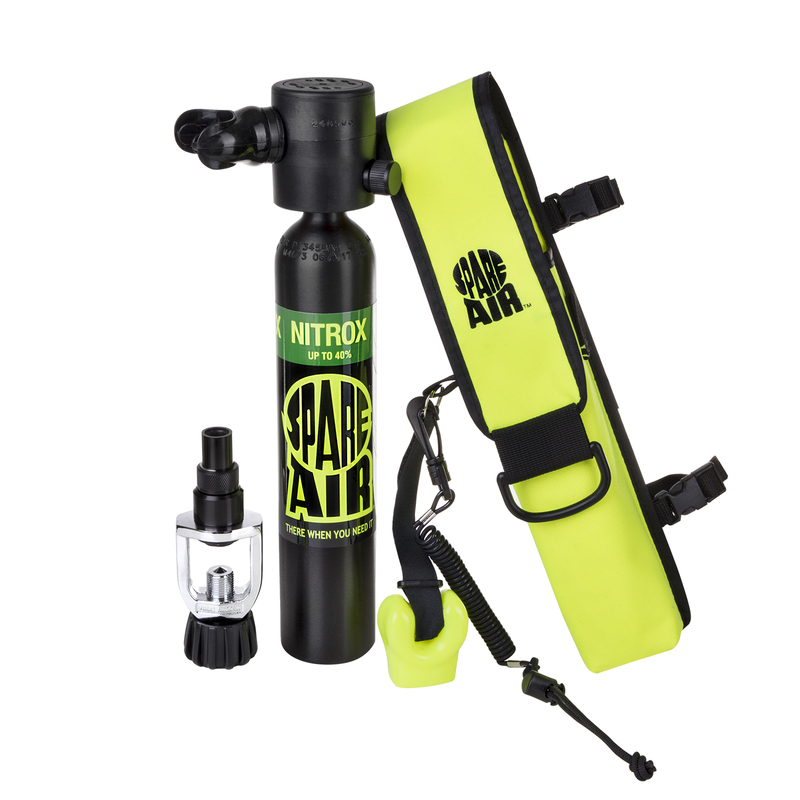 Add some insurance to your next dive for yourself and your buddy with spare air. -Includes fill adapter and sheath -3.0 CF with safety lanyard.- 54 Breaths at the surface. Package Includes: REFILL ADAPTER-Fills off SCUBA tank. COVERED HOLSTER-Mounts to BC and LEASH-Prevents loss. Yellow Color Only. Perfect for added safety for half the price of full regulator set up! on 1/25/2014 I'm a surfer and I use a portable Oxygen Concentrator when exercising on land. I have a recommendation from my Pulmonologist to use a 3 liter setting for my oxygen concentrator. For surf contest I would like to have a X treme sport Noprene vest and a Nitrox Back up supply is that doable? Do I need a prescrption? What Nitrox product is comparable to a 3 liter setting? Is the nitrox refillable at my local dive shop ? They say that the cylinder must be right and they need a Dr's prescription.